Hey, but there’s always bubblegum! My husband is out to eat at a pizza place…I can still have pizza but it’s a new definition of delicious. I think if I knew I was dying tomorrow, I would just eat pizza!! But, at least no matter how old I get and how many food allergies, I have bubblegum. It’s delicious..grape is best;) I found some at Hart’s gas station the other day. 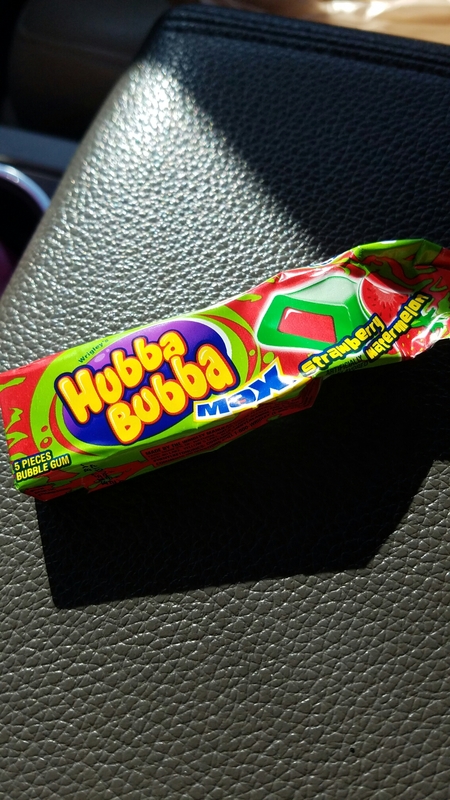 This one was a picture of some gum I had the other day, ….and I think it’s time for some more gum! Previous Post Ranch dressing dairy free!